This article is about the historical duchy. For the geographical and cultural region in modern France and the Channel Islands, see Normandy. The Duchy of Normandy grew out of the 911 Treaty of Saint-Clair-sur-Epte between King Charles III of West Francia and Rollo, leader of the Vikings. From 1035 to 1135 it was held by the Norman kings of England and then, after 15 years of government by Stephen of Blois and Geoffrey Plantagenet, it was held by the Angevin kings of England from 1150 to 1204. Normandy was conquered by Philip II of France in 1204 and remained disputed territory until the Treaty of Paris of 1259, when the English sovereigns ceded their claim, except for the Channel Islands. The title of "Duke of Normandy" was then sporadically conferred in the kingdom of France as an honorific but non-feudal title, the last one having been Louis XVII of France from 1785 to 1789. The first Viking attack on the river Seine took place in 820. By 911, the area had been raided many times and there were even small Viking settlements on the lower Seine. The text of the Treaty of Saint-Clair-sur-Epte has not survived. It is only known through the historian Dudo of Saint-Quentin, who was writing a century after the event. The exact date of the treaty is unknown, but it was likely in the autumn of 911. By the agreement, Charles III, king of the West Franks, granted to the Viking leader Rollo some lands along the lower Seine that were apparently already under Danish control. Whether Rollo himself was a Dane or a Norwegian is not known. For his part, Rollo agreed to defend the territory from other Vikings and that he and his men would convert to Christianity. 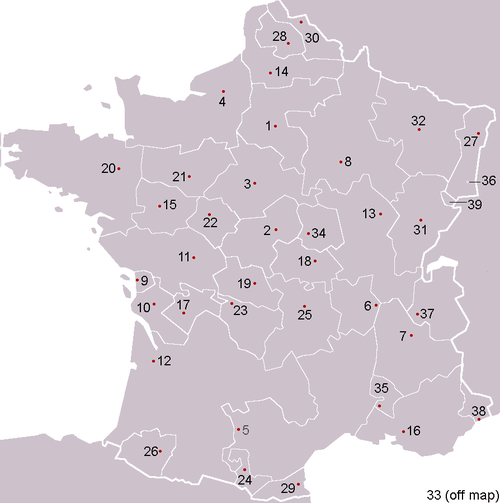 The territory ceded to Rollo comprised the pagi of the Caux, Évrecin, Roumois and Talou. This was territory formerly known as the county of Rouen, and which would become Upper Normandy. A royal diploma of 918 confirms the donation of 911, using the verb adnuo ("I grant"). There is no evidence that Rollo owed any service or oath to the king for his lands, nor that there were any legal means for the king to take them back: they were granted outright. Likewise, Rollo does not seem to have been created a count or given comital authority, but later sagas refer to him as Rúðujarl (earl of Rouen). In 924, King Radulf extended Rollo's county westward up to the river Vire, including the Bessin, where some Danes from England had settled not long before. In 933, King Radulf granted the Avranchin and Cotentin to Rollo's son and successor, William Longsword. These areas had been previously under Breton rule. 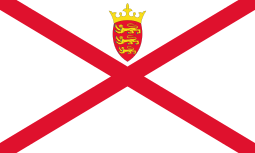 The northern Cotentin had been settled by Norwegians coming from the region of the Irish Sea. There was initially much hostility between these Norwegian settlers and their new Danish overlords. These expansions brought the boundaries of Normandy roughly in line with those of the ecclesiastical province of Rouen. There were two distinct patterns of Norse settlement in the duchy. In the Danish area in the Roumois and the Caux, settlers intermingled with the indigenous Gallo-Romance-speaking population. Rollo shared out the large estates with his companions and gave agricultural land to his other followers. Danish settlers cleared their own land to farm it, and there was no segregation of populations. In the northern Cotentin on the other hand, the population was purely Norwegian. Coastal features bore Norse names as did the three pagi of Haga, Sarnes and Helganes (as late as 1027). The Norwegians may even have set up a þing, an assembly of all free men, whose meeting place may be commemorated in the name of Le Tingland. Within a few generations of the founding of Normandy in 911, however, the Scandinavian settlers had intermarried with the natives and adopted much of their culture. In the 11th century, the anonymous author of the Miracles of Saint Wulfram referred to the formation of a Norman identity as "shaping [of] all races into one single people". Richard II was the first to be styled duke of Normandy, the ducal title becoming established between 987 and 1006. The Norman dukes created the most powerful, consolidated duchy in Western Europe between the years 980, when the dukes helped place Hugh Capet on the French throne, and 1050. Scholarly churchmen were brought into Normandy from the Rhineland, and they built and endowed monasteries and supported monastic schools. The dukes imposed heavy feudal burdens on the ecclesiastical fiefs, which supplied the armed knights that enabled the dukes to control the restive lay lords but whose bastards could not inherit. By the mid-11th century the Duke of Normandy could count on more than 300 armed and mounted knights from his ecclesiastical vassals alone. By the 1020s the dukes were able to impose vassalage on the lay nobility as well. Until Richard II, the Norman rulers did not hesitate to call Viking mercenaries for help to get rid of their enemies around Normandy, such as the king of the Francs himself. Olaf Haraldsson crossed the channel in such circumstances to support Richard II in the conflict against the count of Chartres and was baptized in Rouen in 1014. In 1066, Duke William defeated Harold II of England at the Battle of Hastings and was subsequently crowned King of England, through the Norman conquest of England. Anglo-Norman and French relations became complicated after the Norman Conquest. 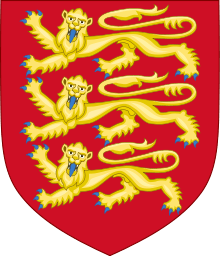 The Norman dukes retained control of their holdings in Normandy as vassals owing fealty to the King of France, but they were his equals as kings of England. From 1154 until 1214, with the creation of the Angevin Empire, the Angevin kings of England controlled half of France and all of England, dwarfing the power of the French king, yet the Angevins were still technically French vassals. The Duchy remained part of the Anglo-Norman realm until 1204, when Philip II of France conquered the continental lands of the Duchy, which became part of the royal demesne. 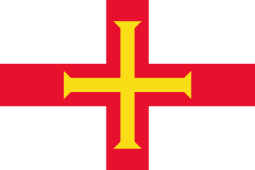 The English sovereigns continued to claim them until the Treaty of Paris (1259) but in fact kept only the Channel Islands. Having little confidence in the loyalty of the Normans, Philip installed French administrators and built a powerful fortress, the Château de Rouen, as a symbol of royal power. Although within the royal demesne, Normandy retained some specificity. Norman law continued to serve as the basis for court decisions. In 1315, faced with the constant encroachments of royal power on the liberties of Normandy, the barons and towns pressed the Norman Charter on the king. This document did not provide autonomy to the province but protected it against arbitrary royal acts. The judgments of the Exchequer, the main court of Normandy, were declared final. This meant that Paris could not reverse a judgement of Rouen. Another important concession was that the King of France could not raise a new tax without the consent of the Normans. However the charter, granted at a time when royal authority was faltering, was violated several times thereafter when the monarchy had regained its power. The Duchy of Normandy survived mainly by the intermittent installation of a duke. In practice, the King of France sometimes gave that portion of his kingdom to a close member of his family, who then did homage to the king. Philippe VI made Jean, his eldest son and heir to his throne, the Duke of Normandy. In turn, Jean II appointed his heir, Charles, who was also known by his title of Dauphin. In 1465, Louis XI was forced by his nobles to cede the duchy to his eighteen-year-old brother Charles, as an appanage. This concession was a problem for the king since Charles was the puppet of the king's enemies. Normandy could thus serve as a basis for rebellion against the royal power. Louis XI therefore agreed with his brother to exchange Normandy for the Duchy of Guyenne (Aquitaine). Finally, to signify that Normandy would not be ceded again, on 9 November 1469 the ducal ring was placed on an anvil and smashed. This was the definitive end of the duchy on the continent. Dauphin Louis Charles, the second son of Louis XVI, was again given the nominal title of 'Duke of Normandy' before the death of his elder brother in 1789. There are traces of Scandinavian law in the customary laws of Normandy, which were first written down in the 13th century. A charter of 1050, listing several pleas before Duke William II, refers to the penalty of banishment as ullac (from Old Norse útlagr). The word was still current in the 12th century, when it was used in the Roman de Rou. Marriage more danico ("in the Danish manner"), that is, without any ecclesiastical ceremony in accordance with old Norse custom, was recognised as legal in Normandy and in the Norman church. The first three dukes of Normandy all practised it. Scandinavian influence is especially apparent in laws relating to waters. The duke possessed the droit de varech (from Old Danish vrek), the right to all shipwrecks. He also had a monopoly on whale and sturgeon. A similar monopoly belonged to the Danish king in the Jutlandic law of 1241. Remarkably, whale and sturgeon still belong to the monarch in the United Kingdom in the twenty-first century, as royal fish. The Norman Latin terms for whalers (valmanni, from hvalmenn) and whaling station (valseta, from hvalmannasetr) both derive from Old Norse. Likewise, fishing in Normandy seems to have come under Scandinavian rules. A charter of 1030 uses the term fisigardum (from Old Norse fiskigarðr) for "fisheries", a term also found in the Scanian law of c. 1210. There is no surviving reference to the hirð or the leiðangr in Normandy, but the latter probably existed. The surname Huscaille, first attested in 1263, probably derives from húskarl, but is late evidence for the existence of a hirð in the 10th century. 1 2 3 4 5 6 7 8 9 Jean Renaud, "The Duchy of Normandy", in Stefan Brink, ed., The Viking World (Routledge, 2008), pp. 453–57. ↑ Robert Helmerichs, "Princeps, Comes, Dux Normannorum: Early Rollonid Designators and Their Significance", The Haskins Society Journal, vol. 9 (1997), pp. 57–77. ↑ Norman F. Cantor, 1993. The Civilization of the Middle Ages, p.208f.